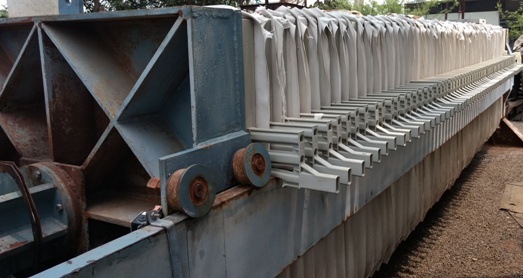 For sale membrane filter press with hydraulic system. Make - Bhatawadekar Bros. Mumbai. Size - 48 x 48 inches. Price - Rs. 21 Lacs.